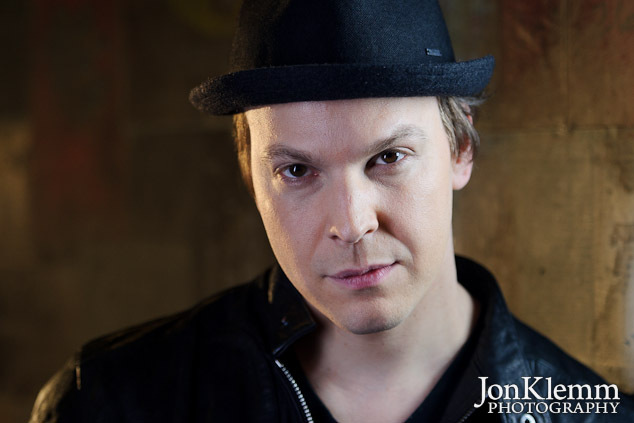 Last month, I had the pleasure of shooting a portrait session with singer-songwriter Gavin Degraw. It took place on an unseasonably warm February afternoon, which gave us the flexibility to do indoor and outdoor setups. Before arriving for the shoot in Williamsburg, I scouted some nearby locations to find some that would supply good looking backgrounds for the photos. I couldn’t believe how photogenic the neighborhood was! It seemed like every wall and doorway I saw had some character to it. In the end, we shot at two indoor and three outdoor locations, which provided some good variety to the photos. Shortly after the shoot, it was announced that Gavin would be one of the competitors on this season of Dancing With The Stars, which premieres tonight on ABC. Set your DVR! In the meantime, check out the full gallery of Gavin Degraw portraits here. This entry was posted in Portrait Photography and tagged Dancing with the Stars, Gavin Degraw, portraits.